As of 2015, Medicare provides health insurance for over 60 million people in the United States. On average, it covers half of the hospital costs and medicine needed by the patient, and because this is funded by the government, certain forms are required to minimize fraud issues as such are very common nowadays. 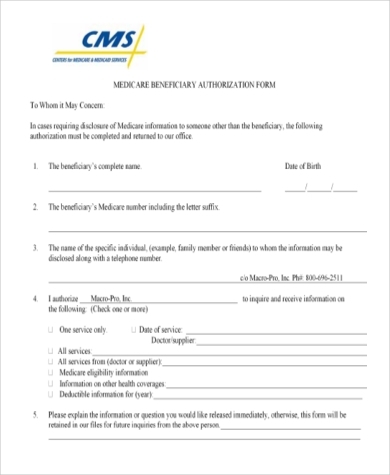 You may need to fill out certain Authorization Forms when requesting authorization for a person or service provider to access information about your health or your Medicare eligibility, or when requesting for coverage or reimbursement of prescription drugs and hospital bills. 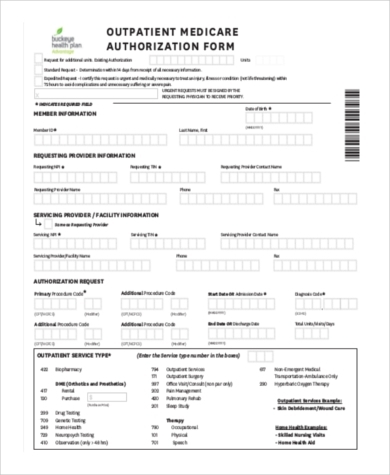 To avoid hassle, you can easily download these authorization forms on the links below. 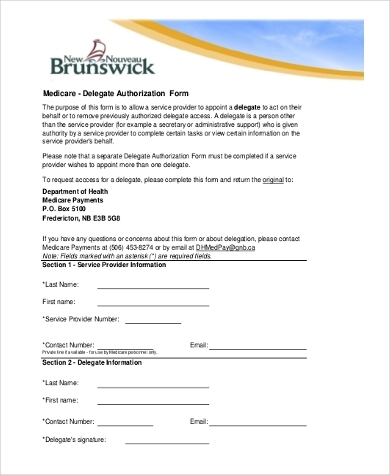 Medicare Authorization of Representation Forms: these are necessary when requesting authorization for someone, whether a friend or family member, to act on your behalf. 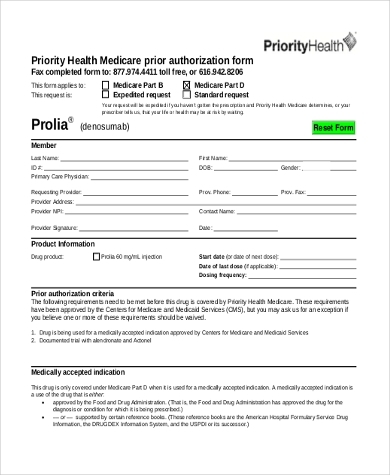 Prior Authorization Forms: These are for requesting certain prescription drugs or procedures to be covered by Medicare. 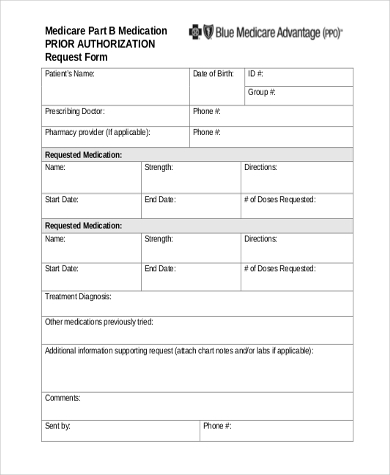 In this form, it will have to be stated why the patient needs the medication or procedure, and the form will also have to be signed by both the patient and the attending physician. This is important to make sure that these prescription drugs and procedures are used in a safe and cost-effective way. 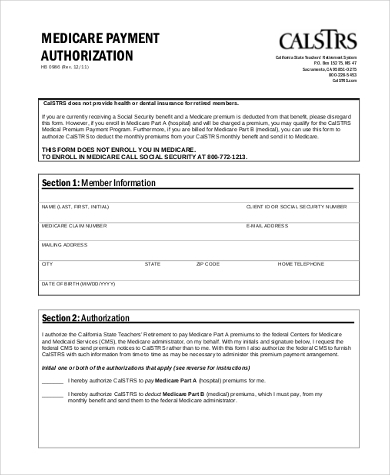 Medicare Payment Authorization Forms: These are necessary to ensure that the procedures performed by your service providers will be covered by Medicare. 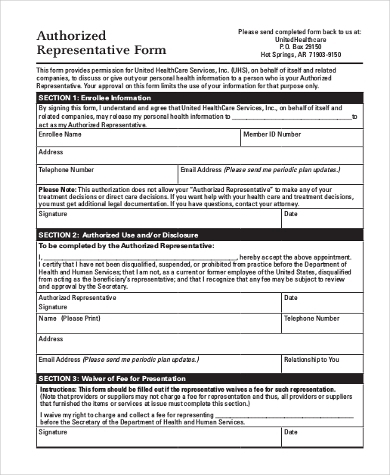 Aside from the forms in this page, you might also need to fill out certain Medical Authorization Forms, which are necessary for the disclosure of your health information to an authorized person for whatever purpose it may serve, and also for authorizing your service provider and physician to administer tests and medication necessary for your recovery. This is also applicable for children and will have to be signed by their parents or legal guardian. Having health insurance is very common nowadays. People are getting sick all the time because of our current lifestyle and because of the state of the environment we are exposed to every day. It is important to have your medical affairs in order in cases where you need to have yourself checked. It is important to know when one is covered by their health insurance provider to avoid complications in the future. 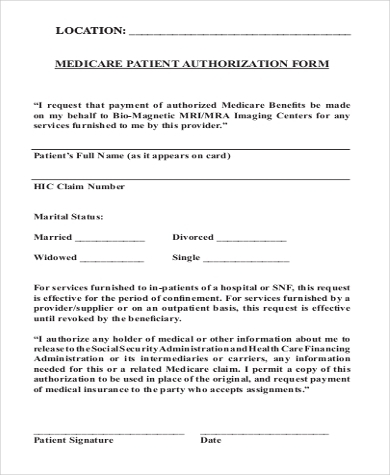 Medicare Forms are very important for people who need to enroll in the program, update their information with Medicare, or have their medical treatments and procedures covered by Medicare. Although Medicare does not cover one hundred percent of your hospital bills, it is still considered very helpful and necessary in a world where medical treatment prices are skyrocketing and medical ailments are getting more common.